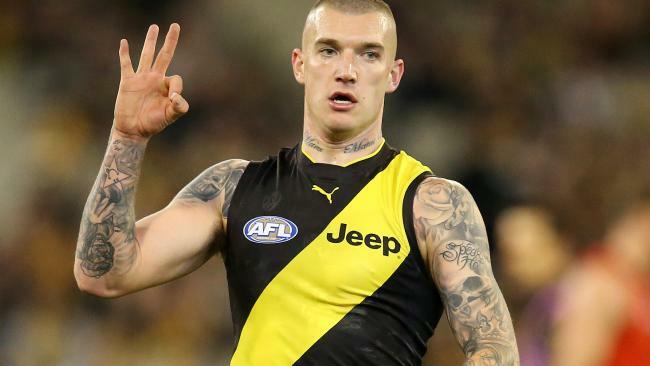 Keen to get his father back to Australia, Dustin Martin would no doubt appreciate some help from Gillon McLachlan. IN THE end the voice of reason was none other than footy larrikin Dane Swan. The Collingwood legend has cut through the wave of political commentary surrounding the French au pair immigration controversy and completely roasted AFL boss Gillon McLachlan for his role in the saga. On Friuay morning, McLachlan responded to his critics in a radio interview with 3AW by declaring he didn't believe he received special treatment after lobbying Peter Dutton to stop the deportation of a French au pair. McLachlan insisted his only role in the 2015 immigration case that has got Australia talking was to forward on to the then-immigration minister's office an email from his cousin. Dutton intervened in 2015 to free 27-year-old French au pair Alexandra Deuwel from immigration detention and granted her a tourist visa. The AFL chief executive's admission that the saga could be seen as a case of "mates helping mates" opened the game's top administrator to criticism. It was an opening Swan took full advantage of when he took aim on social media at McLachlan's double standards for taking action for his family connection, but not in the ongoing saga surrounding Shane Martin, the father of reigning Brownlow medallist Dustin Martin. The father of the Richmond star was deported to New Zealand in 2016 after his visa was cancelled by Dutton because of a criminal record and alleged bikie gang connections. Swan highlighted the double standards of McLachlan's actions by cheekily asking the chief executive to intervene in another immigration case "for a mate". "Hey Gil you got a contact for a mate of mine. His old man can't get back in the country for some f----up reason and they could use your help. Much appreciated," Swan tweeted. 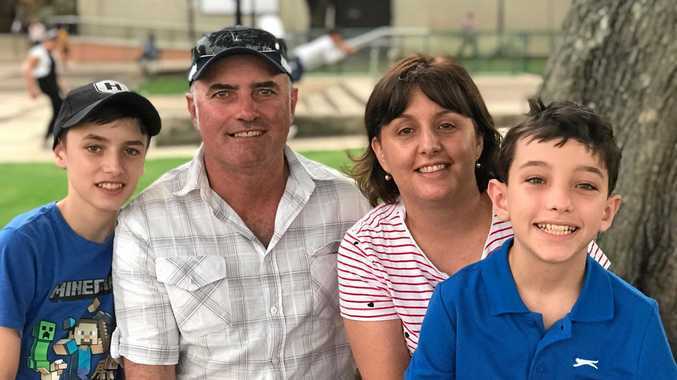 Earlier this year the Federal Court quashed the immigration department's decision to cancel Martin's visa, but he remains in New Zealand over ongoing uncertainty surrounding his ability to gain an Australian visa because of his criminal history. Deuwel was reportedly planning to work for Adelaide-based Grazier Callum MacLachlan, who is related to the AFL boss. 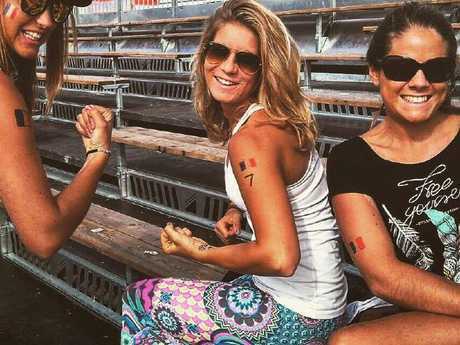 Au Pair Alexandra Deuwel caused all the bother. She was detained at Adelaide airport in October 2015 after admitting she intended to work in breach of her tourist visa. Callum MacLachlan's father, Hugh MacLachlan, has reportedly donated about $150,000 to the Liberal Party since 1999 - including a donation of $50,000 to the South Australian Liberal Party branch six months after Deuwel was granted a visa. A statement from Dutton's office said it was "completely ridiculous" to suggest the now Home Affairs Minister intervened for any reason outside his regular duties. Leaked emails show Callum MacLachlan contacted Gill McLachlan, who directed an AFL staffer to forward an email from his cousin on to Dutton's office. Dutton then stepped in, overruling the advice of senior border security officers, and used his discretionary powers to let the young woman stay. McLachlan denied he got special treatment because of his public profile. "All I was doing was actually trying to help facilitate the contact, not make a representation," he told 3AW radio. 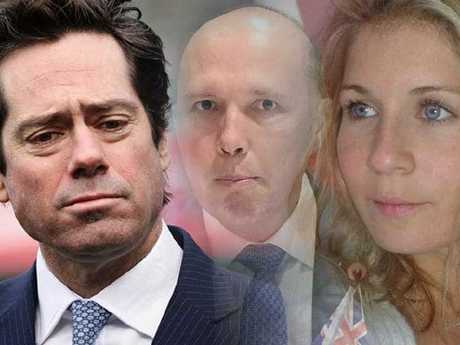 Gillon McLachlan, Peter Dutton and au pair Alexandra Deuwel. "I feel it was reasonable to have done so, others can make their assessments." Martin and Swan have been mates for many years and travelled together to Las Vegas at the end of the 2018 season. McLachlan admitted on Friday that he expected people to have questions about the au pair chapter. "I can see that in the way it's playing out because of the political context," he said. "I didn't interfere in any way, I had no contact with people who forwarded on his email. I was facilitating someone who was wanting to ask a question." McLachlan said he had never met the French au pair at the centre of the controversy. The AFL boss said he didn't even know Dutton that well. "Not that well, I mean, I certainly know him," McLachlan said. "I would say I know him as a minister in a government which we deal with like we deal with many governments all the time." 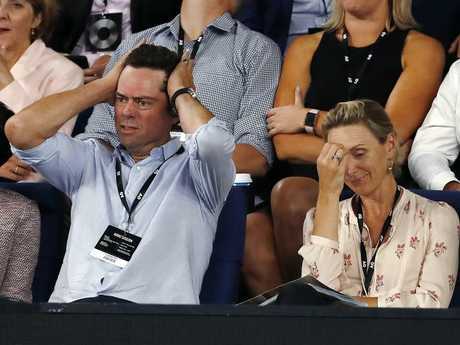 McLachlan said he was not embarrassed by the high-profile incident. "No, I regret that it's so public and such an issue," he said. "But I acted to help someone who asked for assistance, I forwarded (the email) on, and I'm accountable to that." Asked if he would do it again, McLachlan said: "I would always help someone if I thought it was fair and appropriate if they asked for help. "You've got to consider each case on its merits."